Adil Shah holding the banner bearing the names of all the team members who summited the Kolahai Peak. On September 7, 2018, Kashmir’s two young mountaineers, Adil Shah and Naveed Jeelani, died near Dhanwet, while descending the Kolahai glacier. It was devastating for Kashmir’s small mountaineering community. A senior mountaineer, Adil was an inspiration to many. They were a group of nine mountaineers with different level of expertise on an expedition to mount Kolahai. It is a glacier and one of the fast receding ones because of the climatic change. Adil was leading the group and the summit was done successfully as recorded at an altitude of 5434 meters. Climbing Kashmir’s highest peak in the first attempt was a big achievement for Adil. Kolahoi peak (5425 meters) is about a 25 km trek from Aru in Pahalgam. It is one of the perennial sources of water to river Lidder. It was first climbed in 1912 by Dr Ernest Neve, a missionary doctor who authored Beyond The Pir Panjal – Life And Missionary Enterprise In Kashmir. They had already spent four hours in the descent, there was a sudden rock fall near Dhanwet killing Naveed Jeelani instantly while injuring Adil Shah and Hazik Beigh critically. The fourth person in the rope, Abdul Majid Rather, had a miraculous escape. The remaining five members of the team had already descended to a safe spot. Soon, Adil succumbed to his injuries. Just before breathing his last, Adil could only move his limbs trying to ask for water. Unfortunately, there was none left to quench his thirst. “Strangely Adil always used to keep a glass of water by his bedside before sleeping but never used to drink that. And that is exactly what happened on his last day as well,” said Umar Shah, his brother, while sobbing. The loss came in the midst of a successful summit. “We were almost done; we even called the base camp asking them to keep our food ready,” Taous Baba said. “We just had the last pass there to scale down that there was a sudden rock fall that devoured Adil and Naveed.” The entire group was well-equipped and skilled but couldn’t stand the nature’s wrath. Those were moments of life and death. Their sleeping bags were converted into body bags, waiting to be airlifted. Carrying the bodies down the slope was risky because of the difficult terrain. The survivors decided to descend with injured Hazik Beigh. The team eventually reached the base camp from where Hazik was airlifted to the hospital. There, they witnessed an immense outpouring of Aru Valley residents who brought food, water and medicine. Among the compassionate villagers braving the rugged route was Adil’s closest friend, Gullu, who despite a major injury went all the way up to see his deceased mountain friend one last time. The Kolahai incident was not Adil’s first in mountaineering career. In 2013, Adil found himself stuck along with four of his friends on a floating iceberg during their expedition to Kaunsarnag lake. The iceberg wafted away from the shore of lake leaving the five boys deserted on a snow patch in the midst of ice-cold lake for more than 6 hours. Later the boys were airlifted – all safe. Kounsarnag spared the boys but brought Adil more towards mountains. He started mountaineering professionally with the best gear available. He visited over 145 alpine lakes across Kashmir making him, perhaps the first Kashmiri to achieve such an impressive feat. “It was actually the thrill to explore all possible alpine lakes across Kashmir that kept him motivating,” his childhood friend Mohib Khan said. Interestingly Adil was the first mountaineer to discover the highest altitude lake in Kashmir, located at a height of 4602 meters. 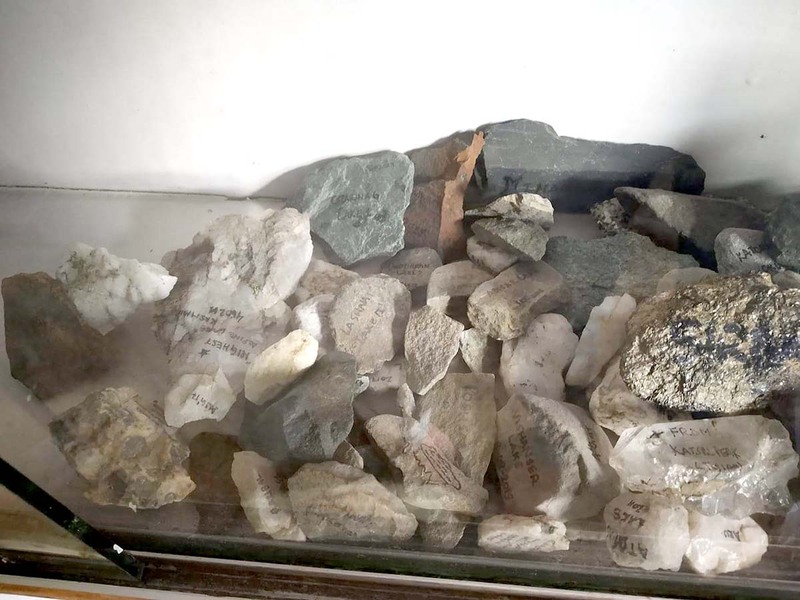 “He found the lake in his third attempt and named it as Adilsar lake in his notes that he was compiling since his first day of the expedition,” Umar revealed. He had been documenting all his expeditions in the form of personal notes based on his study of the routes and his mountaineering experience. He was thinking of publishing his experiences in a book. Mahmood Ahmad Shah, president of Jammu & Kashmir Mountaineering and Hiking Club (JKMHC) and former director Tourism would mentor Adil during his expeditions and research. Adil was a self-learned mountaineer though he had a brief stint formal training from JKMHC. He started Alpine Adventurers, a travel company for trekking and mountaineering in 2009 with the help of some of his friends while he was pursuing engineering at IUST in Awantipora. The company started mentoring people from different age groups. It is a well-grown community now with many prominent mountaineers as its members. A great team player, Adil had impressive management skills. “He was always our lead climber and the best route planner who would remember exact coordinates,” said Taous Baba. 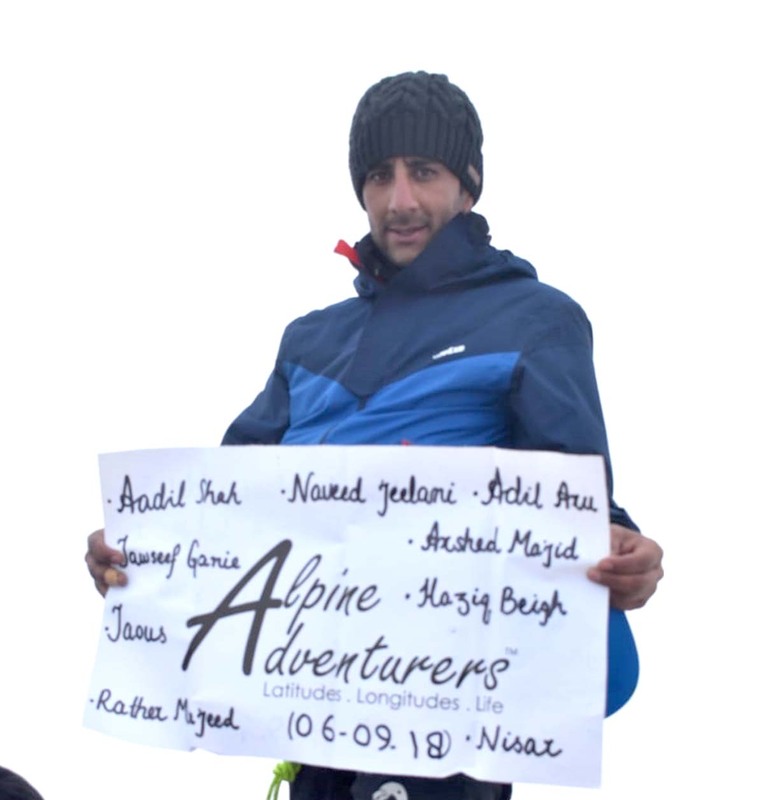 Adil died as a brave Alpinist in his sleeping bag with bruises, broken bones and a brave smile, embracing the mountains where his body remained there for two days. Rest in peace, Adil.